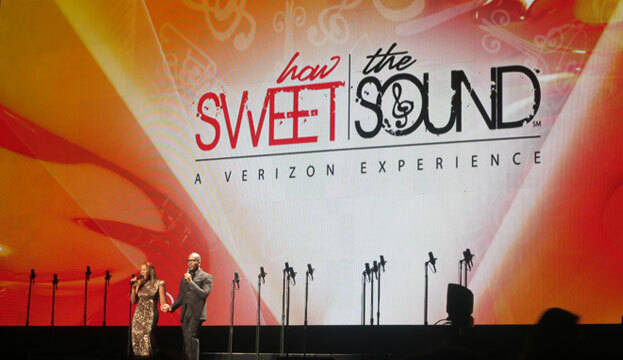 Verizon’s How Sweet The Sound annual gospel competition, brought the best gospel choirs in the country back to Los Angeles this year for a chance to win a $25,000 grand prize. Now in it’s 6th year, HSTS toured the country from Sept. to Nov. auditioning finalists to perform at the grand finale at Nokia Theatre at L.A. LIVE. The show’s hosts and judges are among the greatest Gospel artists alive. 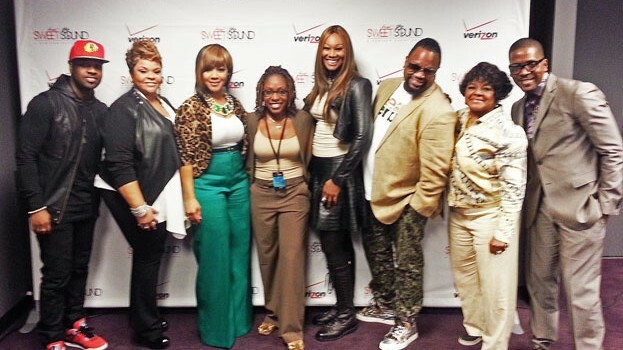 The star-studded lineup included hosts, Yolanda Adams and Donald Lawrence and judges Erica Campbell (from MaryMary), Tamela Mann (Cora from Madea’s movies), Hezekiah Walker (remember him from the Amazing Grace Gospel Fest) and Vashawn Mitchell. 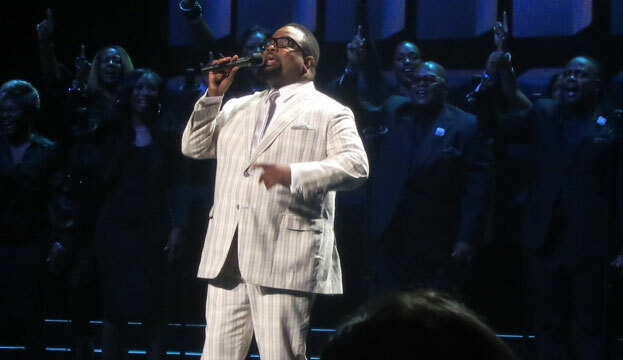 Hezekiah Walker opened the evening with a performance that gave me chills…. The rest of the evening was just as amazing as we got to see the best of the best of gospel choirs sing their lungs out for a chance to win that grand prize. In between the choirs, the audience sang-a-long with their favorite gospel artists as all of the judges performed throughout the show. The cool thing about the show is that there are two winners: 1) that the judges choose and 2) that the audience gets to vote for via text. 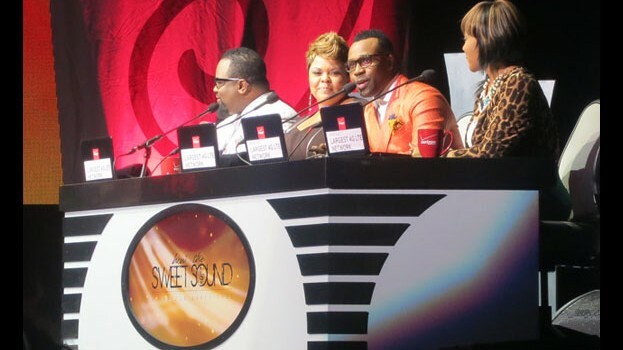 This year, the People’s Choice award went to Atlanta’s Darryl Izzard and Christ-N-U for their rendition of Total Praise. The winning choir, by vote of the judges, was The St. Mark Sanctuary Choir from Little Rock, AK. (see their video above). Congratulations!